If you or a loved one has been injured by a dog bite, one of the first steps should be to call an Lansing personal injury attorney. Dog bites can not only be emotionally traumatic, but serious dog bites can also incur medical expenses. Knowing what legal steps to take after a dog bite can help you get the compensation you deserve after an unprovoked dog bite. If you were bitten by an unfamiliar dog, you should seek medical attention as soon as possible. While the chance the dog had rabies is low, it’s always better to be safe than sorry. You should also seek medical treatment for dog bite wounds that are deep or won’t stop bleeding. If you have a compromised immune system, you are at higher risk for severe infection and should go to the hospital as a precaution. Watch out for signs of infection, which include warmth of the skin, swelling, redness, and pus. Getting medical documentation of your dog bite will also be helpful for your case. 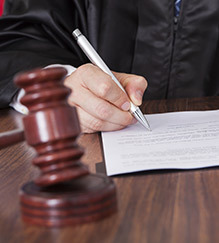 A knowledgeable dog bite attorney will be able to use your medical records to prove your injuries were caused by a dog bite. Get information on the dog and its owner. In order to give you the best medical treatment, your doctor will need to know information about the dog that bit you. If you know the owner of the dog, you will want to ask them if the dog is up to date on their vaccinations. You especially want to make sure you inquire about whether the dog was vaccinated for rabies. Be prepared to also answer questions from your medical provider on whether your dog bite injuries were caused by an unprovoked dog attack. Call a dog bite attorney. A personal injury attorney will be able to help you seek financial compensation for medical expenses and emotional trauma. Be sure that you hire an attorney experienced in dog bite cases. Your injury was caused by a dog bite. The dog bit you without provocation. You weren’t doing anything unlawful during the time of the bite. If you were trespassing on the dog owner’s property while you were bit, you are not eligible for compensation. Likewise, you are not protected under Michigan law if you were committing any other kind of crime when you were bitten. Michigan does not have a “one bite” rule for dogs. This means that even if the owner had no reason to believe their dog was dangerous (this was their first bite), they are still held liable for the injuries caused by their dog. A knowledgeable dog bite lawyer will be familiar with the dog bite statutes for your state. 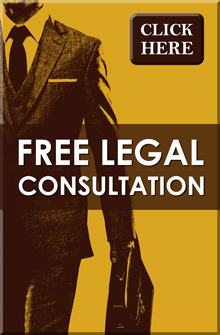 If you are interested in talking with our personal injury lawyers to provide legal representation for your dog bite lawsuit, please contact our Lansing MI law firm at (517) 337-4600 for your free legal consultation. At Foster & Harmon P.C., our experienced attorneys want to make sure that you receive damages for a dog bite.